I love wearing blue along with gold accessories, but this time I paired it with metallics. It has that futuristic feeling , maybe because I added the Pop Art clutch. LOVING THE BLUE AND METALLIC TOGETHER… GORGEOUS! Such a gorgeous look dear! Wish I had that clutch! It matches perfect with you outfit! I always love a monochrome look, and this one is fantastic. Especially with that fabulous phillip lim clutch. I like the futuristic vibe! It works! WOW!!! Perfect look! I really love this shoes!! Love that these are simple pieces but you make them look so chic. Gorgeous shoes and that clutch is amazing! 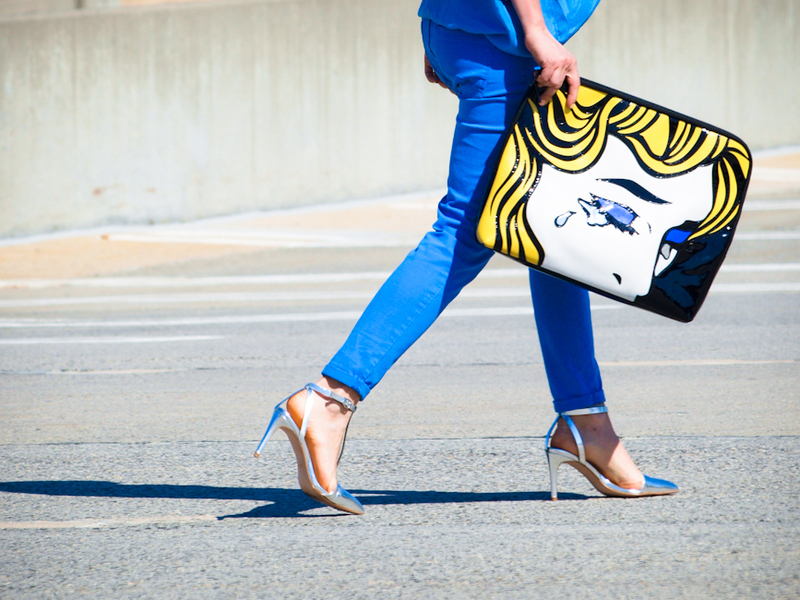 seriously obsessed with that clutch and of course the monochromatic blue!!!!! Loooooove this oufit and love this color! 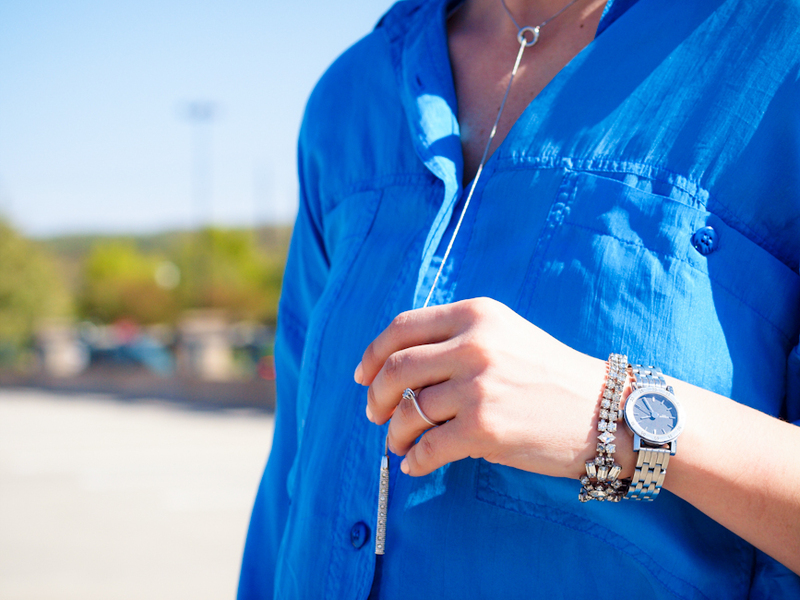 Beautiful combo of blue, silver and this clutch! Very catchy! It’s really beautiful look!! !Cool style! I loveee monochromatic looks!! Metallic shoes really goes with everything! From afar, this could be one fabulous boiler suit look, love the boldness of the blue against your stunning silver T-bars! Sending you back hugs V! Have a gorgeous weekend! Wow! I’m in love with this outfit! This color is perfect for you. You might have heard it before (don’t get upset if you didn’t :D). But you really look like Kristen Stewart in some of the pics, hihi. Love your handbag, super great outfit! Hi! The other day I introduced your blog to a friend of mine, and I described you as a GREAT blogger, the ”QUEEN OF COLORS”!!! !once again you own the title and another great lesson of colors & style. My favourite color. And I just love the combination with silver. the pants really stands out! and the zara shoes are great with everything! Your tradermark monochrome ensembles are the ones that make my heart skip a beat everytime!! Empress of blue! Gorgeous clutch + astonishing outfit!!! !